Pressured by Italy to surrender a great deal of its independence in the fall of 1940, the Greek nation responded with a single word: "Ochi!" Through the rest of 1940 and into the first months of 1941, the Greeks drove back the Italian invaders and even conquered part of southern Albania. But when German panzers joined the Italians for a renewed effort that spring, the Greek army could not stand for long even with British, Australian and New Zealand troops fighting alongside them. The Royal Hellenic Army surrendered on 20 April contrary to its government's orders, but Greek soldiers continued to fight both on the mainland and during the battle for Crete in May. There, large numbers of civilians even joined in the fighting against the German airborne invaders. The Greeks did not lack for fighting spirit; their arete was intact. What they did lack was any consensus on how the invaders should be fought, and for what cause. Several thousand Greek soldiers ended up in Egypt, having accompanied Allied units evacuated from the mainland and from Crete. Others from the Evros Brigade crossed into Turkey when Greece collapsed and were given a choice of being sent home or to British-ruled Palestine; several thousand chose Palestine. Finally, a "Dodecanese Phalanx" of 600 exiles from the Italian-ruled islands of the eastern Aegean Sea had been forming under British sponsorship in Egypt. Together, these men became the "Royal Hellenic Army in the Middle East." The Greek 335th Fighter Squadron fought well at Alamein. 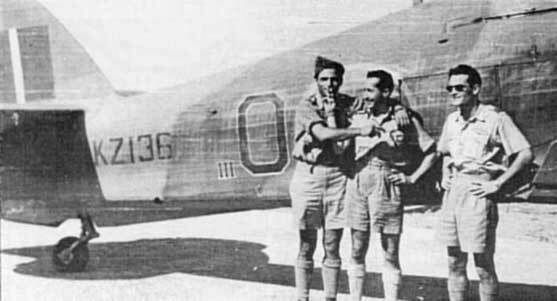 Here pilots Vasilios Voutsas, Stratis Xydis and Fraggias Anastasios pose with a Greek Hurricane at Sidi Barrani airfield. But many Greeks who wished to fight the Germans simply stayed home and did so as guerillas. The Greek partisan movement eventually grew to be very large, but split between several factions. The 1st Greek Brigade began forming in Palestine just three weeks after the fall of Crete, with three infantry battalions, an artillery battalion and engineer and machine gun companies. Training proceeded slowly and political tensions between communists, royalists and republicans kept things tense. After a brief deployment to Syria, where Col. Pafsanios Katsotas took over and instilled more discipline, the brigade transferred to Egypt in August 1942. To replace them on garrison duties, a 2nd Brigade formed in late July. The Sacred Squadron rolls through the Libyan Desert, 1942. Many of the most energetic officers and men chafed at garrison assignments, and volunteered for special duties. The Long Range Desert Group formed a Sacred Squadron that participated in covert actions, and in September the Greek special forces were expanded into the Sacred Battalion ("Ieros Lohos"). Col. Christodoules Tsigantes' unit (named for the ancient Theban elite) made raids in Libya, Tunisia and among the Aegean islands, racking up an impressive war record. As with many other armies, the Greeks paid a price for drawing off their best troops into an elite unit. The loss of its best officers to the Sacred Battalion greatly reduced 1st Brigade's effectiveness and exacerbated political differences. Katsotas transferred Communist activists to the new 2nd Brigade, which became known as the "Red Brigade" and was rated as even less capable than its sister unit. 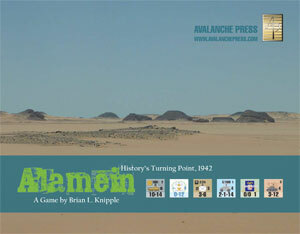 Nevertheless, 1st Brigade moved into the Alamein line on 9 September 1942, coming under command of the British 50th Division, which had lost its 150th Brigade during the Battle of Gazala in June. During the British offensive that opened on 23 October, Operation Lightfoot, 50th Division formed part of XIII Corps' feint attack on the southern end of the Allied line. The Greeks were roughly handled by the Italian 185th "Folgore" Parachute Division, and within 48 hours General Bernard Montgomery had ordered the southern attack abandoned to concentrate all efforts on the northern flank. The Greek brigade was kept "corseted" by 50th Division's two British brigades during the battle, and suffered 89 dead and 228 wounded. Three thousand years of fighting for freedom. 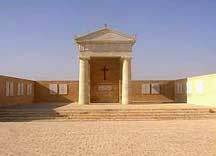 The Greek War Memorial at El Alamein. Having performed poorly in action, the Greeks were returned to the Nile Delta the moment the Axis was seen to be in full retreat, arriving on 10 November. In January it transferred back to Syria, joining the Red Brigade which had moved there in December. Both brigades mutinied in late February and early March. "Unreliable elements" were removed and two of 2nd Brigade's battalions disbanded. The Red Brigade mutinied again in the summer and was disbanded, while 1st Brigade continued training and in April 1944, altered to move to Italy to re-join 8th Army. The brigade promptly mutinied again; British troops surrounded its camps and quashed the rebellion. First Brigade was also disbanded, and the Greeks formed a new unit, known as 3rd Mountain Brigade, from remaining volunteers. Those who did not volunteer went into British prisoner of war camps. The new brigade went to Italy that fall and fought well, particularly at Rimini, and went to Greece at the end of the year where it became a cadre for the royalist forces. In Alamein, the Greek brigade appears as an independent formation with its own headquarters. This is a disadvantage in most respects: Greek units attacking with British ones suffer the penalty for multi-formation attacks, British artillery won't support the Greeks at full strength (artillery of one formation only supports units of another at half-strength), the Allied player has to pay an extra supply point to keep the Greeks in supply and pay supply points separately to prepare them for battle (though the brigade is small enough that this usually will not be a problem — the minimum one attack for an unprepared formation is probably all they can handle anyway). The Greeks are rated the same as most British units, which is overly generous given their battlefield performance and the Allied command's obvious lack of confidence in their fighting ability. Rating them lower would encourage Allied players to keep them out of action; since 8th Army and XIII Corps had orders to make sure they saw front-line combat this would require a whole set of special rules for a handful of units. As a variant, players can choose to replace the Greek Brigade as provided in the game with the pieces provided here. The Greek Brigade is part of 50th Division for all game purposes, but any attack involving Greek and other Allied units suffers the penalty for a multi-formation attack, even if all other units are part of 50th Division. Fiftieth Division artillery supports the Greek battalions as though they were from another formation; the Greek artillery battalion may only support Greek units in defense and attacks including Greek units, and may only bombard hexes spotted by Greek units. The Greeks receive no replacements during the game; these could have been drawn from the Red Brigade but it's likely that Katsotas would have rather kept his battalions at reduced strength than risk political "contamination." If the variant pieces are used, the Allied player begins with two Greek infantry replacements (none are received during the course of play). Remove the leader Katsotas and 1st Brigade headquarters from play; otherwise units set up or enter as reinforcements as directed in the game. Use the units provided here instead; note that the Greek artillery battalion has a step reduction piece provided as well. You can download the variant pieces here.